Weddings, Birthdays, Bachelor(ette) Parties, Nights Out and More. Those are just some of the many runs we took our passengers to. And that's just an estimate! You will love our services, the buses and especially all the amenities. Memories are awaiting. Yup, that's right! We provide service 365 days. You can also call us 365 days to book reservations or ask questions. Thank you for taking the time to explore our site. Upon coming to our site, you must be searching for a limo bus or limousine to use for an upcoming event. Well, you've come to the right place. 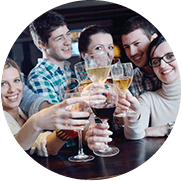 We provide limo buses and limousines to the Kalamazoo and surrounding areas. Our customers rave about the quality of service they receive from us. It's nothing but the best! We are available to you, 24 hours a day. You call when the time is right for you. You can also rent the vehicle at any time, there is nothing constricting you. You are billed hourly for your time. If you go over, you are billed the hourly rate in 15 minute increments so that you never pay for time you don't use. 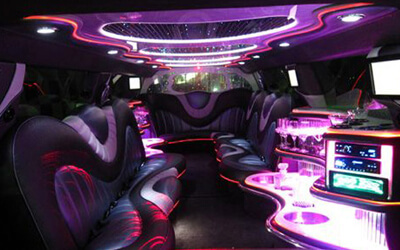 Kalamazoo Limo specializes in all types of events, both personal and business. 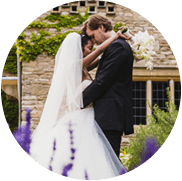 Events ranging from wedding ceremonies and receptions, to birthday parties, to proms and sporting events. 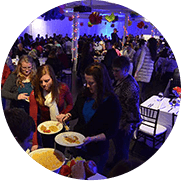 There is no limit to what kind of event we could provide service to. You could even rent the bus and ride around in that for your rental time. With any ideas you have, make sure you give us a call. Our events section gives some more in depth detail on how renting a limo bus or limousine can work to your benefit. We have many different Kalamazoo Limousines to choose from, from different types and different sizes. You are sure to find one that is perfect. Each one has their own list of amenities. You can view the vehicle page for a list of features each bus has. We will pick out the best vehicle for you with the information you give to us, like time of service and number of passengers. If you find a vehicle that you want to use, tell us and we will see if it's available. Our chauffeurs are professional and experienced drivers. They will get you to your destinations on time and most importantly, safe. Once again, thank you for taking your time to view our site. Make sure that if you do decide to have luxury transportation for your event, that you call soon enough to make your reservation. There are certain times of the year in which we book up fast. All you have to do is email or give us a call. We look forward to hearing from you. No matter what day, we will provide you with service. You can also contact us any day and any time so that you can call when you are available. Limo Buses and Limousines are luxurious and classy for any transportation needs. They are packed full of amenities that are sure the please. They are fully screened and are the best chauffeurs in the area. They will deal with the traffic and get you to your destination safe and sound. 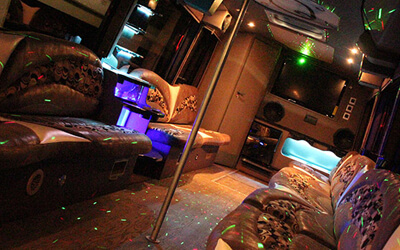 There are many reasons to rent a limo bus or limousine. Read why having one is fantastic. We want to thank Kalamazoo Limo for providing such amazing transportation. My friends and I had a great time bar hopping. Everyone really enjoyed themselves. We will definitely get another bus when we plan another night. My son and his friend said that they had a great time on your bus! I really enjoyed seeing them all happy that a party bus pulled up to take them to their prom. Best part was that I didn't have to worry about my son. My girlfriend and I planned a Halloween bar & club hop. This was the perfect way to get around town and have the party going all the time. You definitely have to get a bus if you want to go out. I loved everything on the bus, especially the sound system. My friends and I have always wanted to go on a party bus. We finally decided to get one and it was a good decision. We all had a great time. Really enjoyed the fact that we could drink on the bus when we were on the way to the bars. We will be back.